The Co-op Bank provided the following response to the four questions we put to the bank after reviewing its 2017 Values and Ethics Report. The bank has a good record of engaging with the Save Our Bank campaign as a representative of ethically motivated customers, and we appreciate them taking the time to respond. 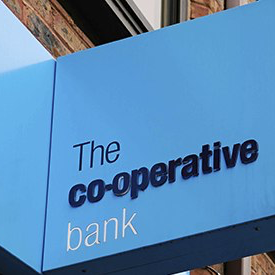 Response from the Co-operative Bank to the Save Our Bank campaign, 17th September 2018. In 2011 and 2012, before the bank’s recent financial problems were revealed, the percentage of finance opportunities declined by the Ethics team averaged 10% of those reviewed. This year, around 3.5% of business opportunities reviewed were declined, and the average in the five years from 2013 to 2017 has also been around 3%. Can the bank comment on the reasons for this change, and can it provide details of the percentage of ethical policy applications received and declined by type over this period, e.g. for small business banking vs larger corporate loans? This change is driven by our renewed focus on small to medium sized businesses as the key focus for our business banking -, including credit unions, social enterprises, charities and co-operatives. The size, type and nature of these businesses mean that while all business application are screened, there are fewer referrals for a higher level of Ethical Policy. Of 648 business customer referrals to the Ethical Policy Unit 2015 – 2017 89% were SMEs. 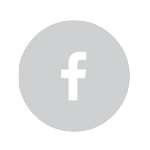 We recognise that having a say it what their money is and isn’t used for is a key concern for our customer and we will continue to exclude those businesses that conflict with their ethical concerns and seek to support those that reflect their values. The Values and Ethics Report notes that an existing customer was declined as it was involved in the fur trade. This indicates the Ethical Policy was breached in this instance - although this has been rectified, and we understand that no system can be 100% watertight. Can the bank provide more information about how long this business had been a customer of the bank, and when the businesses moved into a position of breaching the ethical policy? Does the bank consider that changes to process are needed to avoid such breaches occurring in future? Although not a regular occurrence, it is possible for customers previously assessed as compliant with the Policy to move into a position of conflict if the nature of their business activities changes. Customer screening takes place at various times during the operation of their accounts, for instance as a result of a request for additional facilities, and not just at the account opening stage. Additionally, existing customers operating in those sectors more likely to impact the Policy are subject to regular screening as part of the Central Screening Exercise and asked to re-complete an Ethical Policy self-certification form to ensure their ongoing compliance. We can’t comment on individual customers but can confirm that it during a subsequent screening that this issue came to light and the account was closed. We see this as a good example of the Ethical Policy in action and we feel that there is an appropriate level of screening to manage the Ethical Policy risk of an existing customer presenting a breach of the Policy. Can the bank consider providing more detail in next year’s report on customers turned away for reasons of risk management, particularly those reviewed by the Exit Forum? For example, type of business or organisation, type of issue raised,type of reason for account closure. We are always looking at ways to improve our V&E Report so customers and other stakeholders are better able to assess our performance and the extent to which we are operating in line with their expectations. The section on risk management is a new addition to our report that has responded to customer feedback. While we will consider this recommendation, it is important to understand that when accounts are closed for reasons of fraud and money laundering there are legal reasons why this type of disclosure may not be possible. The report’s auditors, DNV, provide a ‘limited level’ of assurance, rather than a ‘reasonable level’ of assurance. Can the bank comment on whether a ‘limited level’ of assurance is sufficient to reassure stakeholders that the ethical policy is is being implemented to the highest standard, and on the implications of requesting a ‘reasonable level’ of assurance in future? We believe the level of assurance provided is robust and sufficient to provide the right level of assurance for our customers.